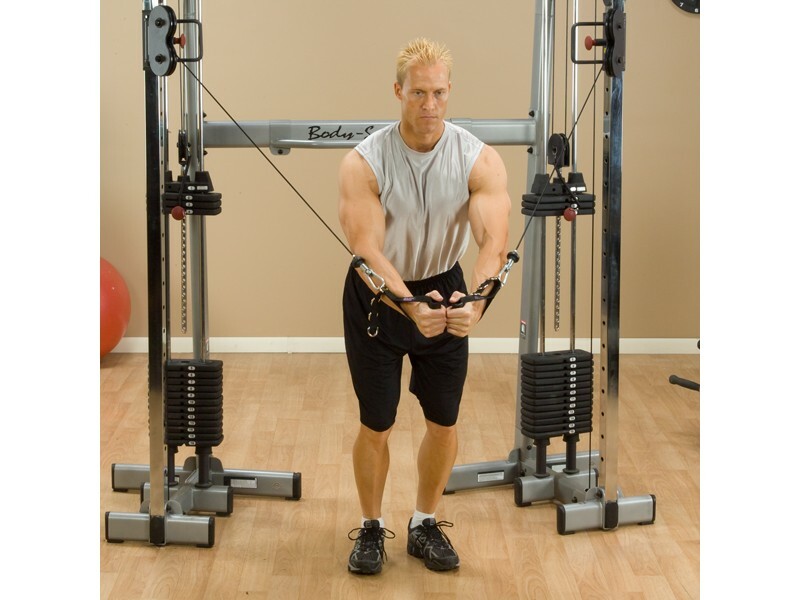 Attach your weight machine cable's carabiner to any one of the steel D-rings along the length of the strap, depending on how much extra slack you need for freedom of movement with your exercises. 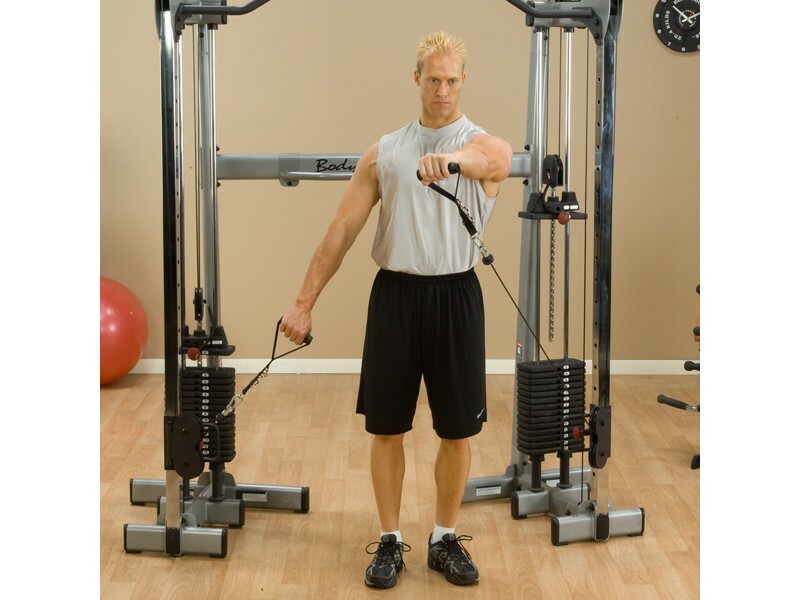 This handle is compatible with virtually all cable crossover machines. 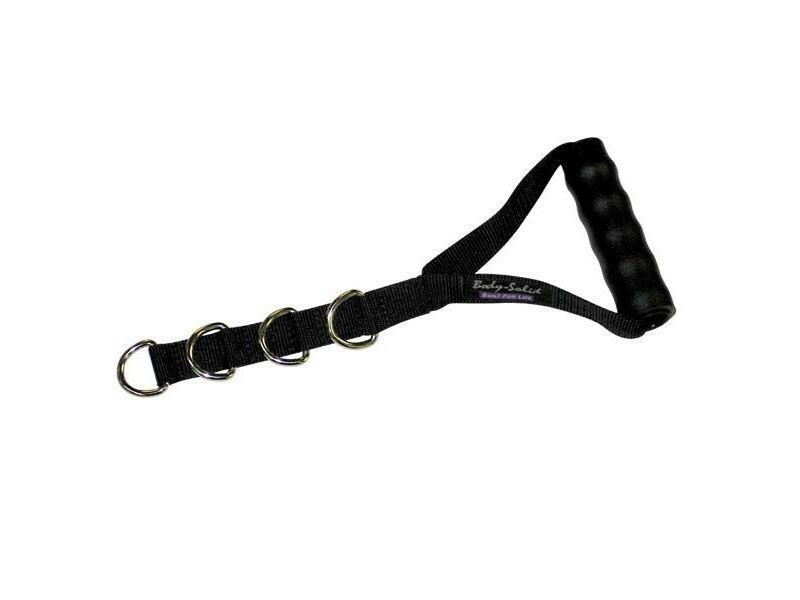 It provides an alternative to the standard steel handles that can be rough on your hands and hurt your forearms as the steel hits them during certain movements.